Satisfying adventure cravings since 2012 - Endless Adventure North East is proud to provide bespoke and individually adapted activities that have exceeded the expectations of over 5000 adventurers. Stag and Hen, Corporate, Education, Charities and Individuals looking for their own unique experience. These people have joined our adventure revolution with only one wish, they'd done it sooner! So come, look around, your adventure awaits you! I booked with endless adventure for a day out with my team from work, I wanted us to do something different something that would get us working together and helping each other. We got picked up and dropped off and the day was simply amazing. Mark and Ross were very professional and helped make the day extra special. I used Endless Adventure Nothing East to organise a full day out river tubing and gorge walking/scrambling on the Tees and Tyne for a group of 15 blokes on a Saturday as part of a Stag Do. What a great day, I was struggling to sort an adventure based activity from Newcastle based stag event. I wanted to make more of an effort than the usual 'stag and hen' reseller websites. Had the best day ever with Endless Adventure North East. 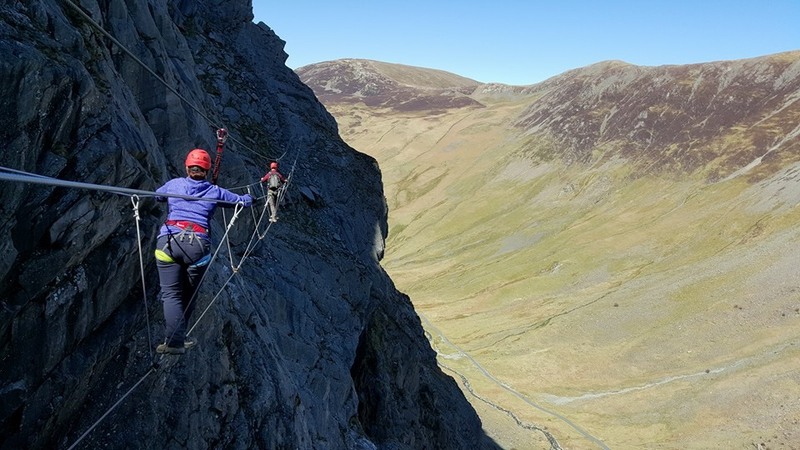 Trip out to the Lake District to Via Ferrata what an amazing time. Nathan and John were class! Real fun couple of lads and made the experience for our group. Things to do with Families in Newcastle, Tyne and Wear and Northumberland.